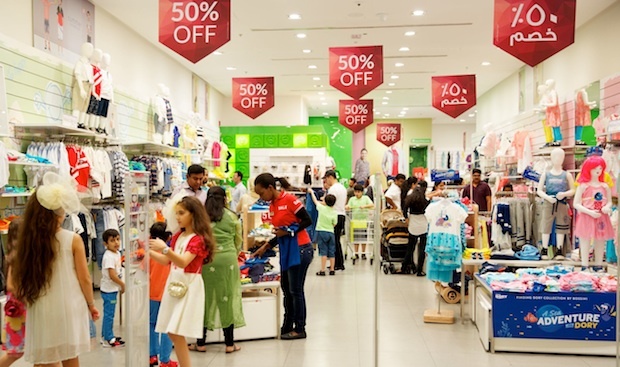 Dubai has officially revealed a list of the main retail sales and promotions that are slated to be held in the emirate next year. The retail calendar was released by the Dubai Department of Economic Development (DED) and Dubai Festivals and Retail Establishment (DFRE) – part of Dubai Tourism. A total of 18 events over 247 days will be held in Dubai next year, compared to 12 events over 178 days in 2018, a statement said. The promotions will also cover a broader range of product categories and brand segments and offer a reduction in fees for all small and medium enterprises (SMEs). The retail calendar has been developed with inputs from 18 major retail and mall groups in Dubai and has also been synchronised with the global and domestic retail and fashion cycles. It is hoped to help Dubai’s retail sector grow a further 5.6 per cent from Dhs128.45bn in 2018, to reach Dhs160.7bn by 2021, the statement added. Helal Almarri, director general of Dubai Tourism said: “The retail sector is a high priority for Dubai Tourism – in addition to increasing the number of international visitors to the emirate, we are also focused on significantly enhancing the economic value created (across all travel related industries) to our GDP. A new ‘Home Festival’ event has also been added, focussing on promotions across all homeware, home appliances and furniture retailers. Sami Al Qamzi, DED director general said: “The retail sector is a key contributor to Dubai’s thriving economy and makes up a considerable volume of the emirate’s GDP. We are committed to consolidating efforts across Dubai to offer exceptional and high quality experiences in terms of infrastructure, initiatives and incentives. The 2019 edition is set to launch on December 26, 2018, the opening day of the Dubai Shopping Festival which this year has been extended for a further full week based on feedback from retailers.